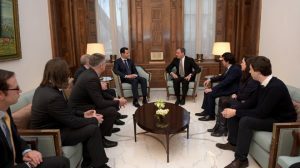 Damascus, SANA – President Bashar al-Assad said on Sunday France’s current policy is disconnected from the reality of the war in Syria, stressing that this policy has helped inflame the situation through the support provided to the terrorist organizations, which have turned into a threat not only to the peoples of the region, but to the peoples of the Western countries as well. 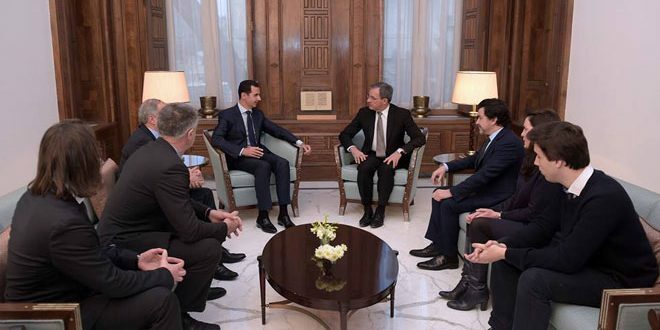 His remarks came during a meeting with a French delegation, including a number of members of the French National Assembly and a number of intellectuals, headed by Thiery Mariani. 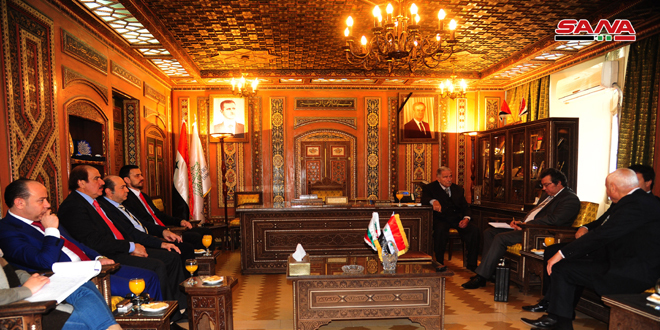 The President was assured on the safety of the delegation members after the terrorist attack they came under in the vicinity of Aleppo International Airport, noting that the Syrian people have been, since the outset of the war on Syria, facing similar attacks by the terrorist organizations that are supported by regional and western countries. He added that these attacks have already claimed the lives of tens of thousands of Syrians and destroyed infrastructure in the country. 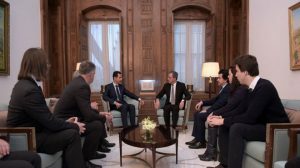 President al-Assad pointed out that the delegation’s visit and what they have come to see during their tours, especially in Aleppo, would help them create realistic views about the crimes committed by the terrorists against the Syrian people. This idea was echoed by the visiting French figures, who said their visit to Syria in general and to Aleppo in particular, especially at the current time, has provided a real opportunity to come to know what the Syrian people have been subjected to during the ongoing war. 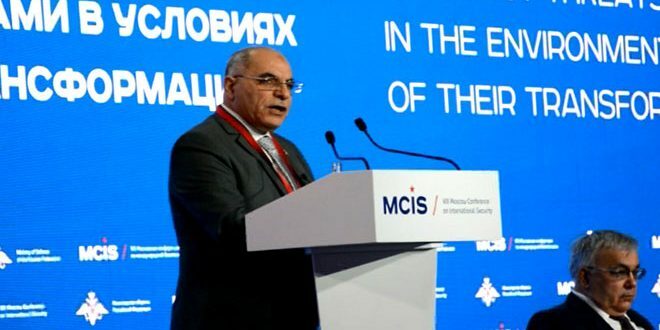 They affirmed that what they saw on the ground stresses that there has been substantial improvement of the situation, which proves the ability of the Syrian people and army to restore security and stability and continue to stand their ground firmly in the face of terrorism. 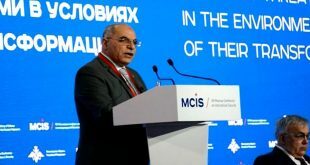 They added that the Western public opinion, particularly in France, has become aware that the picture they receive about what is going on in the region and Syria is not realistic and includes plenty of falsification, expressing their will to help the public opinion reach the real picture of what is happening on the ground without distortion. 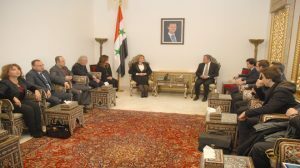 For her part, Speaker of the People’s Assembly Hadiyeh Abbas affirmed during her meeting with the delegation that the French government is called on to review its stances towards Syria, adding that France should be one of the countries that fight terrorism instead of supporting it. “We count on the French parliamentarians to convey the truth to French people whom their government seeks to mislead,” she said. 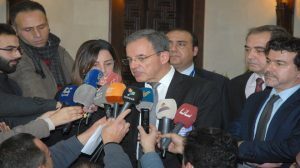 Commenting on the delegation’s visit to Aleppo, Mariani pointed out that the delegation inspected the situation in the city and listened to the locals and displaced people in the temporary housing centers who spoke about the crimes committed by terrorists against citizens which forced them to leave their houses, adding that the citizens of Aleppo are determined to rebuild their city. 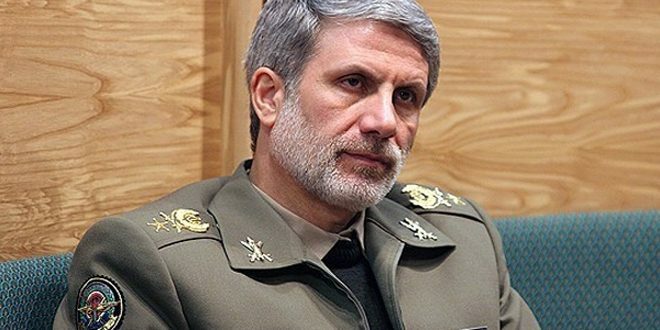 He pointed out that any victory achieved by Syria against terrorism protects the French people as terrorism which targets Syria is the same which targets France. “We hope that the upcoming Syrian dialogue that will be held in the Kazakhstan Capital of Astana will lead to a political solution for the crisis in Syria,” Mariani said. In a press statement following the meeting, Mariani affirmed that the delegation observed during the visit to Aleppo the satisfaction and happiness among the people of the city as a result of the return of security and stability to Aleppo and the exit of terrorists from it.